Good grooming is considered a part of the uniform code. 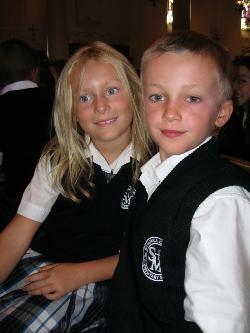 Students are required to follow the uniform requirements and dress/appearance code of the school. All uniform items must be purchased from our authorized uniform suppliers – Michael’s Uniforms, Campus Uniforms, and Lands’ End. Download the Uniform/Dress Code Policy below.